This new perspective on the city focuses on permeability of the urban fabric, including the relationship between land and water, and it also highlights the necessity to harvest rainwater, even if it is hardly available. By using the fertile parts in the urban system the city can slowly transform into a green and blue urban environment, in which people could collaborate in realising their sustainable future. 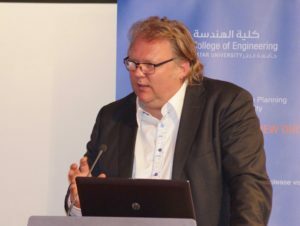 Dr Rob Roggema, Sustainable Urbanism New Directions Workshop, University of Qatar, 21 March 2016, © University of Qatar. There is an abundance of vacant space available in the dry sandy neighbourhoods and these spaces could well function as refreshing areas, where people can relax and children play. They also can be turned into the collectors of water, materials or energy, and as such become the engines for their direct environment. The city starts to become an organism, which breathes and has a beating heart. 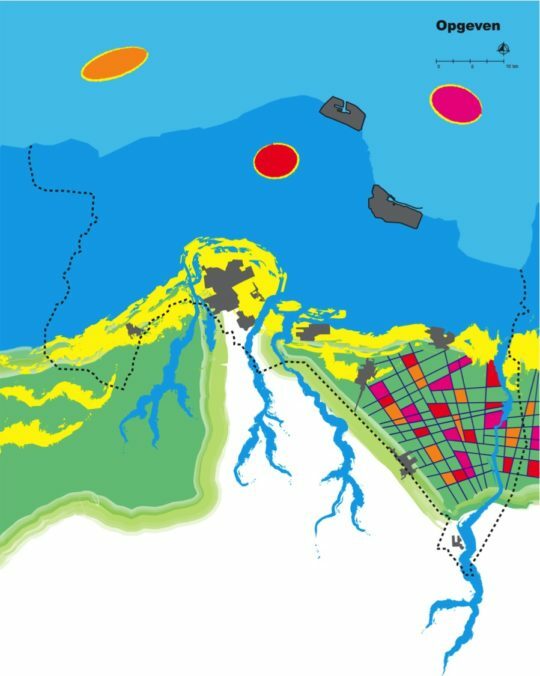 In order to view this systemically, future research should be carried out on the city as a complex adaptive system, and on how to design from this paradigm. 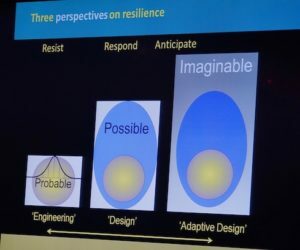 This way the city can be seen as an agile system, constantly moving along with the changes that occur, or as an anti-fragile system, strengthening its resilience by using disruptive change. In this new bright future, there is a need for collaborative and participative design. A design approach in which people are truly involved as codesigners makes them committed to a sustainable future and co-responsible for realising the plans. Methods such as design charrettes involving ordinary local people – youth, grandmothers, for example – as well as experts, could prove productive and binding. Finally there is an overbelief in data. It is not data that will tell us how the future city is to become sustainable, but the people that live in these cities. People are driven by motions, feelings, the sense of belonging, and if we miss out these elements in the design of our cities because data have taken over, we plan for a cold and calculative future. We need to start discussing the information we require for planning a city or a neighbourhood instead of the data. Dr.Rob Roggema is a landscape architect and internationally renowned design expert on climate adaptation, renewable energy planning and urban agriculture. He has held positions at several universities in the Netherlands and Australia, State and Municipal governments and design consultancies. He is director of Cittaideale, a research office for adaptive design and planning, and was appointed as Adjunct Professor Planning with Complexity at the Centre for Design Innovation, Swinburne University of Technology, Melbourne. He is currently advising the Dutch government about the future of the Dutch landscape. He developed the Swarm Planning approach to resilient and sustainable urbanism. Dr. Roggema received the scientific award for best paper at the World Sustainable Building Conference in Melbourne in 2008 and has written books on Climate Adaptation and Spatial Planning, Design Charrettes and Urban Agriculture. He has led over 35 international design charrettes involving communities, academics, governments and industries in complex design processes.